Justin Allgaier begins his quest for the 2018 NASCAR Xfinity Series championship this weekend and it was only three years ago that the 32-year-old was ready to walk away from racing entirely. Hang up the suit, put away the helmet and toss the gloves. Done. 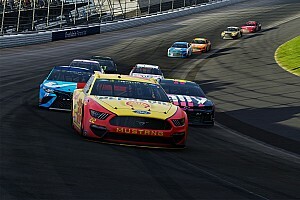 At the time, he was competing in what is now NASCAR’s Monster Energy Cup Series, driving for team owner Harry Scott Jr. 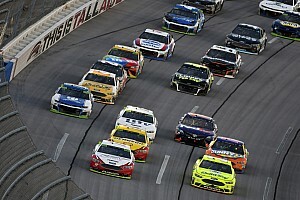 The series was at Darlington (S.C.) Raceway for the annual Southern 500. It had already been announced that Allgaier was out of the team’s No. 51 for the following season, to be replaced by Clint Bower. Allgaier qualified in the back half of the field at Darlington. So did Dale Earnhardt Jr.
“I don’t know if it as an abnormally bad qualifying effort for Dale that day or a fantastic effort qualifying for us but I ended up riding in a truck with Dale at Darlington,” Allgaier said. “We qualified next to each other and we rode in the truck together (during pre-race). “It was like, everything I thought that I needed somebody to say, God just put it like right in Dale’s mouth to say it. I heard everything I needed to hear. 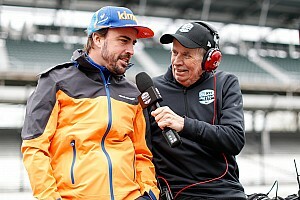 Two weeks later, he said, he met with JRM officials and shortly after that he had a deal to compete for the team in the Xfinity Series beginning in 2016. What was it that Earnhardt Jr. said? He told Allgaier that he had been impressed with his efforts on the track and that he was sorry things hadn’t worked out. He said he felt in the right situation, Allgaier could excel. 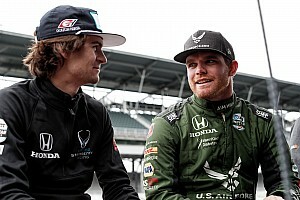 “He had a lot of confidence in me at a time when I promise you I didn’t have the confidence in myself to think we could go out there and run good or anything,” Allgaier recalled. Now Allgaier heads into Friday night’s Go Bowling 250 at Richmond (Va.) Raceway as the No. 1 seed. He’s won five times this season, tops among the series regulars. It’s the opening race of the series’ Playoffs, the first of seven races that will determine this year’s champion. 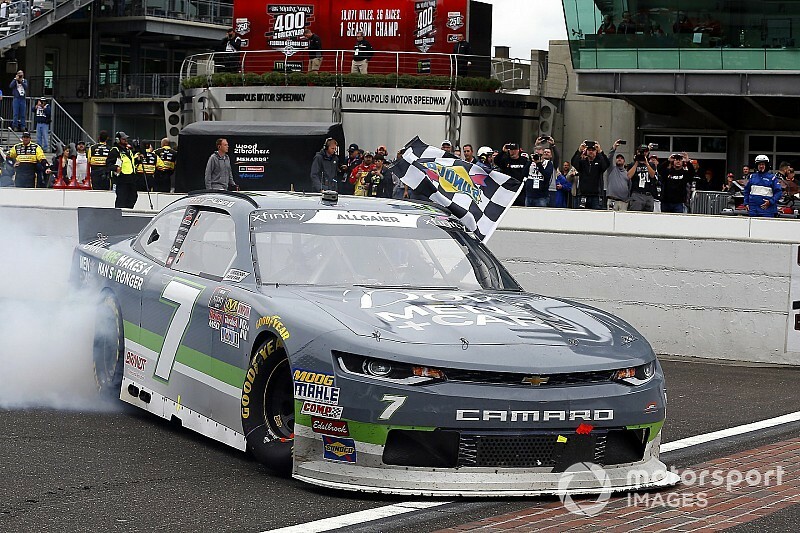 Allgaier’s in a good place, having won a career-best five times this season. “That’s special,” he said. “That doesn’t happen because I changed who I was. I didn’t all of a sudden learn how to drive at the beginning of 2018 and say ‘hey, let’s go win a bunch of races.’ That’s not at all what happened. “Everything has clicked. Our No. 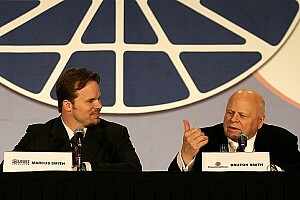 7 team especially but JR Motorsports as a whole, the camaraderie, the excitement, the fire, the passion. “I tell people all the time you can pay people to do a job, whatever it is. Whether you come in here and vacuum these floors or we go out there and we race on the race track. You can hire somebody to do that. But you can’t hire somebody to have passion to do what they’re doing. It took him almost 10 years to win his first five races, he said. But only a short ride in the back of a pickup truck to completely change his outlook and his career. Joining Allgaier in this year’s Playoff field are JRM teammates Elliott Sadler and Tyler Reddick, Christopher Bell and Brandon Jones (Joe Gibbs Racing), Cole Custer (Stewart-Haas Racing), Ross Chastain (JD Motorsports), Daniel Hemric and Matt Tifft (Richard Childress Racing), Ryan Truex (Kaulig Racing) and Roush Fenway Racing teammates Austin Cindric and Ryan Reed.